A. I am Mariby Corpening - An Artist In My Everyday - I write! I paint! I cook! I sew! I serve! I comfort! I give! I love! I laugh! I…live - I Am MadlyLiving, aka MadlyGiving! Oh, I Am In My Flow! At this stage (my age), I know what I know! Effectively me, Elevating labors of love, just beyond and above and with the heart, no less, the art of a servant, at my core, just can no longer ignore, oh, I implore, I was born to Give, to Comfort, to Pamper, to SERVE YOU! For more about Mariby Corpening! Q. Soooo, what exactly do you do? A. First and foremost, let me say that essentially, with your purpose-filled contributions, through donation, reservation, participation, collaboration and/or sponsorship at A Brunch of Sundays, A Brunch & Learn, Private Dining Experience and/or Other Services, a portion of the proceeds - inherent fundraising - helps to support vital hands-on outreach in our local community. I am Hospitalent Mariby Corpening — Eventfully Bringing People Together In The Spirit Of Giving Forward & Saving Dreams, Inherently Doing Unto Us…All! More about my personal life’s mission of MadlyGiving! All in the spirit of giving forward, artistically, I do a little of a lot of things; though, mainly, I love to cook for you from scratch; it's my giddy idea - a dream really - of rendering fresh, tasteful, graciously-prepared breakfast specialties. I so enjoy a good meal, so I set out to specialize in elevating the standards of The Brunch Experience. My aim is to make my guests go, Oooooooom! Know that I enjoy as much setting up, serving it to you and comforting you, too, not to mention, Oh, but the conversation and with lots of laughter on the side. Sharing what I love to do, with you, in humble exchange for your kind donations - my way of giving forward, inherently doing unto us…all! Visit my Brunch Experience page, attend an Upcoming Brunch Experience, plan A Brunch of Your Own and discover more About Hospitalent Mariby Corpening and all that I do - to THANK YOU! Q. What services, for example, do you provide? A. For you, I will cook (my intimate brunch experiences are my specialty), bake (I love to prepare from scratch my buttermilk biscuits, blueberry muffins, double-crusted sweet potato pie, etc.). Savor my Food Blog. I also do a little sewing; though, I am not a seamstress, I do make my own clothes, what I call my Beauty-Free Dresses and Beautiful Earrings as complement. I have made richly-tailored pillows, couch throws and more. I provide a wide range of Administrative Services on contract/temp, virtual or on-site, on an as-needed basis; I've also done basic websites, such as my own, my business cards and all of my advertising. I am an Inspirational Speaker - MadlyLiving - mainly on Seeking, Living & Owning Your Gifts, which includes specifically, Watching Your Back In Business - at which I share my journey. Visit My Home Page and, of course, browse my site for samples of all that I do and Contact me to discuss how I may serve you? You will particularly enjoy My Guest Book. Oh, I quite agree! It's madness, really, and why I call it, MadlyLiving! Q. What is A Brunch of Sundays and Brunch & Learns I've seen you advertise? A. My MadlyGiving Brunch Experiences are at the heart of all my artistry - aka Hospitalent. It's my purpose-filled way of Eventfully Bringing People Together In the Spirit of Giving Forward. Both the Brunch of Sundays and the Saturday Brunch & Learns Experiences are dining opportunities for you to, not only participate, but also, you may sponsor a brunch, for example, to showcase, impart knowledge, share information, etc. For more information, visit my MadlyGiving page and Contact me to discuss a brunch & learn or charitable opportunity you have in mind. Note that brunch is served complimentary to The Experience! Q. 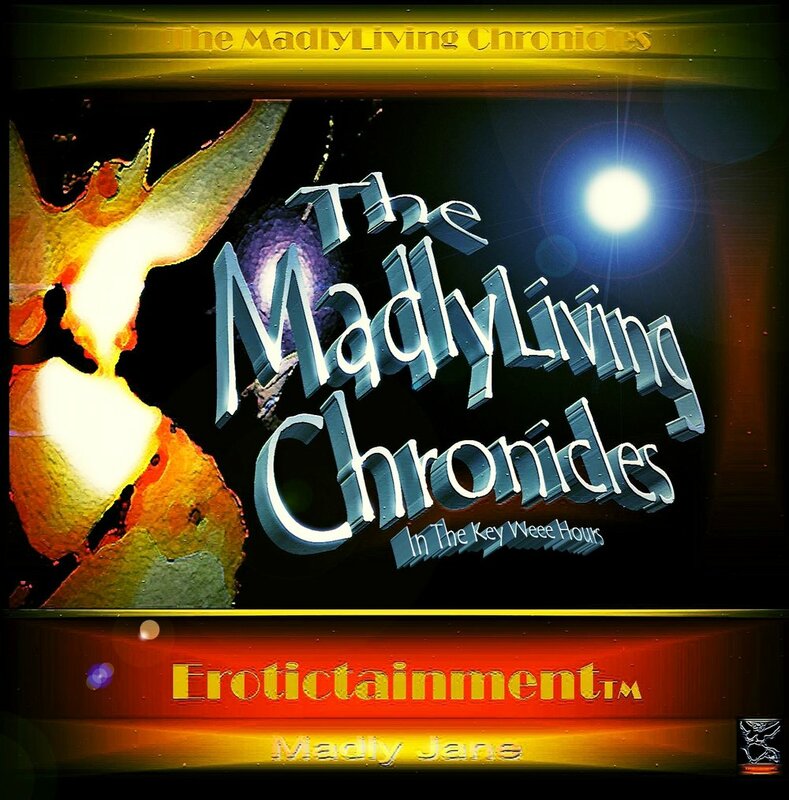 What are the MadlyLiving ChroniclesTM? Perhaps a bit wild, in my state of Mid-Life ... Style! A. WARNING: ADULT CONTENT! I also write, so the MadlyLiving ChroniclesTM are mostly, uh, uh, true, overtly due works of, frankly, narcissistic expression, based on a series (mere situations really) of non-fiction, artistically painted with some conviction, logistically tainted with a Hole's lot of suspicion, some just wrong and even offensive diction, no less, written Holely for the purpose of mature, laugh-out-loud, stir up a crowd, adult entertainment, and perhaps a bit wild, in My State of Mid-Life ... Style, which is why you'll find that My Brand of Entertaining Erotica very personally relates to you, you and yeah [old man], you too! It's The Hole's Truth, so helped me God! Q. For your brunch services, how many people do you accommodate? A. My Brunch Experiences are private, intentionally kept intimate and served seated ideally for 6-8 guests; though, I will accommodate up to 10 guests - for a sit-down brunch experience. Q. What if I want to invite more than 10? A. My Brunch Experiences require an intimate setting of no more than 10 guests; however, if you'd prefer a catered continental brunch buffet (rather than My Brunch Experience), then, I can accommodate up to 20-30 guests. Q. For how long is your brunch? A. Brunch Experiences generally go on for 3-4 hours; it's a part of my special recipe of good company, good conversation, complemented with simply good food! Q. What if I want to do a party, a shower, etc. ; do you permit events at your location? A. No. This is my home and not an event space; however, in keeping with an intimate dining experience, you may want to consider hosting, sponsoring and/or participating in my MadlyGiving Brunch of Sundays or Brunch & Learn dining experiences. Q. Will you come out to me at my home? A. Yes. I will come to you at your home to cook, prepare and serve an intimate, private dining sit-down experience (for up to 10 guests) or continental brunch service (for up to 20-30 guests). Note: Service/Travel Fees/Expenses apply. Q. What if I only want you to drop off / deliver breakfast items; do you cater? A. Note that I am a Hospitalent and a home cook, who loves, loves, loves to cook and not a chef, nor a caterer; though, for intimate affairs only, yes, I will freshly prepare and drop off scrumptious continental brunch menu items (for a minimum) of, for example, My Specialty Breakfast Sandwiches, Scratch-Made Biscuits and Blueberry Muffins, to include a Crisp Green Tossed Salad and Fresh Fruit Medley. Visit my Brunch Experience page & Contact Mariby. Q. Is there a set menu for your brunches? A. I have a thoughtfully-prepared menu selection; however, you may mix it up (at charge). Visit my Brunch Experience page and click on the Menu Button. Q. Do you accommodate alternative menus, such as vegan, vegetarian or restricted diets? A. Yes, with sufficient notice, I will happily accommodate alternative menus for dietary restrictions, food allergies, cultural preferences, etc. Q. How much do I donate for A Brunch Experience? A. The donation for A CREATE YOUR OWN Private Brunch Experiences start at $75 and up, for my basic sit-down Brunch Experience, to as much as $150/guest for The Ultimate Seafood Brunch (which would include Jumbo Alaskan Crab Legs, Golden Lump Crab Cakes, Grilled Salmon, Jumbo Shrimps & Scallops); though, the average donation/guest, based on the most popular menu items, is generally $110/guest. Visit my Brunch Experience page and click on the Menu Button. Q. What comes with brunch? A. No matter which brunch experience you choose, the standards that embellish every table include Mariby's Infamous Buttermilk Slap Biscuits,Thick-Cut Smoked Bacon, Baked Egg Frittatta, Crisp Green Tossed Salad, Fresh Fruit Medley, Home-Made Preserves, Grannie’s Good Coffee & Complimentary Breakfast Beverages. For more information, visit my Brunch Experience page. Q. What if I want lunch or dinner (rather than brunch)? A. Yes, I often get donation requests for lunch and dinner experiences and depending on what you have in mind, I will certainly accommodate you. For an example, a Romantic Seafood Dinner For Two, I did at a client's home, as a birthday surprise to her husband. Q. Can I order your fresh-baked goods? A. Yes, though, I only take donations for baked goods on occasion, you may pre-order my scratch-made specialties: Apple & Sweet Potato Pies, Chocolate, Lemon-Coconut & Carrot Cup/Cakes, Fresh Blueberry & Apple-Raisin Bran Muffins, Banana-Coconut Bread and, even My Buttermilk Slap Biscuits. Visit My Food Blog and Contact me. Q. May I see your references? A. As you certainly should, please visit My Guest Book page for reviews - what my guests are saying about their dining experiences, as well as custom-made items and other services for your donation. As a guest, you will also have the opportunity to Share Your Experience. Q. How do I get on your guest list to attend your brunches? A. To get on my Guest List, visit my Contact page and click on Join Us. Q. What forms of payment for donation do you accept? A. 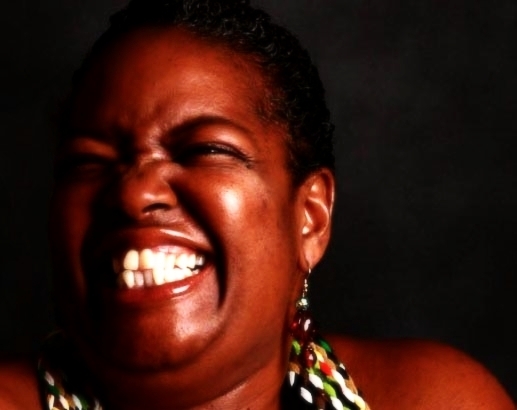 Donations for all services are accepted directly on my website through Paypal; likewise, if you are planning a brunch experience of your own, I accept donation/deposits either on my website through Paypal in the form of Credit/Debit Card or by Bank/Travelers' Check and Money Order. NOTE: If necessary, I will accept donation through your own bank by Zelle - Mariby.Corpening@gmail.com and Square, Inc.’s Cash App - $MaribyCorpening for easy donation from even your cell phone! NO cash or checks are accepted! Reservation & Full Donation/Payments are required BEFORE arrival! I do NOT accept payment at the door! Q. What are the donation / payment terms? A. On most services, I require half down to secure the date/contract and the balance of your donation is due no later than two (2) weeks before your event/service is completed. Q. Can my guests donate individually (for themselves)? A. While most hosts donate the deposit and are ultimately responsible for the full donation amount, yes, your guests can donate individually directly on my website; To Donate, either through Zelle, Cash App or just click on the Paypal Logo near bottom of every page and when donating, it's important to indicate to which brunch experience name/event you are contributing! Q. How do I make a donation / payment? A. To Make A Donation/Deposit, either through Zelle, Cash App or you will find Paypal Buttons near the bottom of every page of my website; just scroll down OR from your mobile device through Cash App - $MaribyCorpening! Q. May I cancel my donation? A. If for any reason you must cancel your planned brunch experience or service(s), all donations are non-refundable, though transferable to another event and/or service. Q. What about any brunch policies? Timely Arrival: I ask that you please arrive on time, as I generally do NOT start seating guests for the Brunch Experience until all or most guests have arrived and, a personal pet peeve, You know I just hate for my food to get cold! Parking: Driveway and street parking are available; though, please do NOT park on the grass and do NOT block anyone's driveway or mailbox! Food Allergies & Dietary Restrictions: Upon arrival, please remind me of any food allergies and/or dietary restrictions! She Reeks of Bread, Comfort & Creativity! If you would like to plan an intimate brunch experience of your own, host or sponsor a Brunch of Sundays or a Brunch & Learn Experience, are in need of in my personal or administrative services, would like to collaborate on a project or charitable cause/event you have in mind, would like for Mariby Corpening to speak at your event, would like to know when my MadlyLiving ChroniclesTM are officially published, have any further questions or need more specific information, please Contact me and, of course, Get On My Guest List. Get some helpful Dining Experience ideas from My Guest Book. Hopefully, I have answered, The Who, The What, The When, The Where, The How and The Why of My Life of MadlyGiving and know that I truly look forward to serving you!